The email came as a surprise. I received a message from the PR firm handling Banana Leaf Asian Cafe that after reading my entry on my latest visit to their Robinsons Midtown branch, that they would like to invite me for lunch as their way of saying thank you for writing about my experience. It was a holiday when I scheduled that lunch to meet with them. I went with my mom and sister as we had plans of going shopping right after. Arriving at their Podium branch a little after 12, we arrived at the restaurant and were warmly welcomed by three of their PR representatives. We were then presented with their drinks menu. 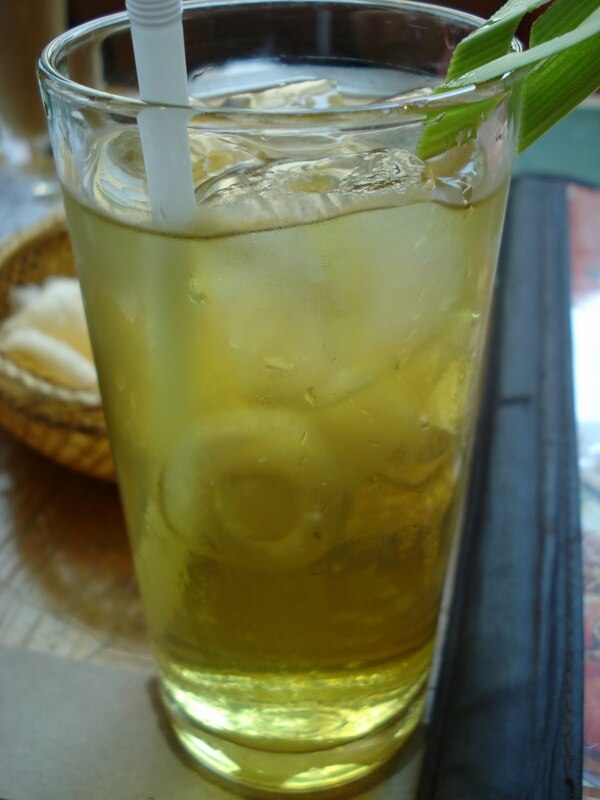 I followed my mom who got the Pandan Iced Tea. I liked how refreshing this drink was which was perfect since it was a very warm day. It was not too sweet which was one of the things that I do not like when drinking Iced Tea as some are just loaded with thick syrup. 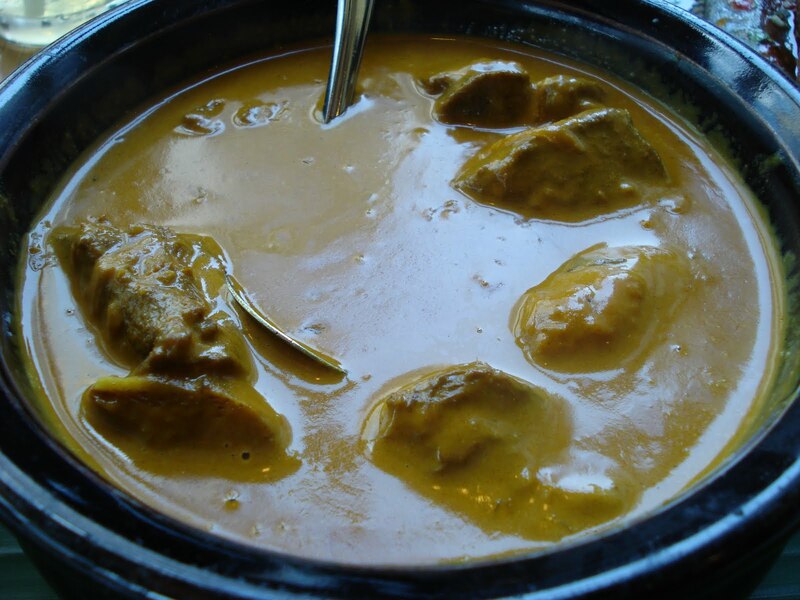 Malaysian Lamb Curry with Potatoes (Php. 268). I have been craving for lamb that I immediately pointed this out while scanning the menu. The lamb was soft and it does not have a funky lamb smell. This dish was pretty good and I love the rich thick curry sauce that went really well with our rice. Stir Fried Malaysian Noble Leaves with Garlic (Php. 188). 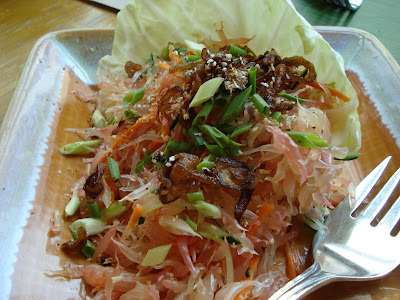 This was my other pick, I love love love this dish and no visit to Banana Leaf would ever be complete without this. I'm glad that my mom liked this too. 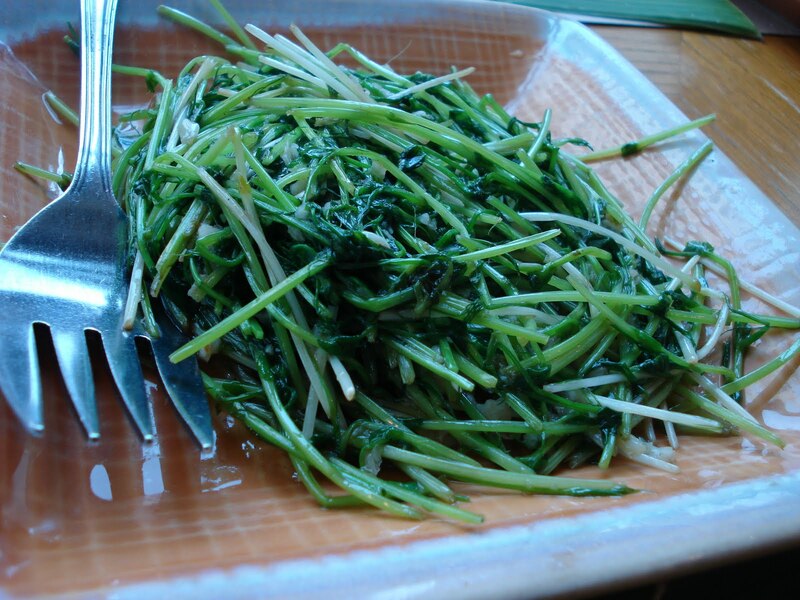 It has a just-right garlicky flavor and the leaves are so crunchy and light. A very healthy choice indeed! 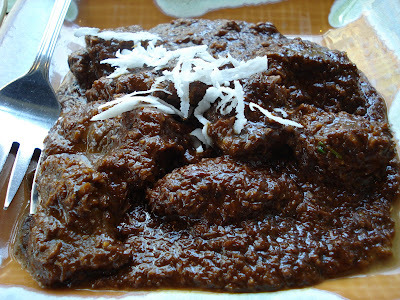 Malayan Beef Rendang (Php. 238). 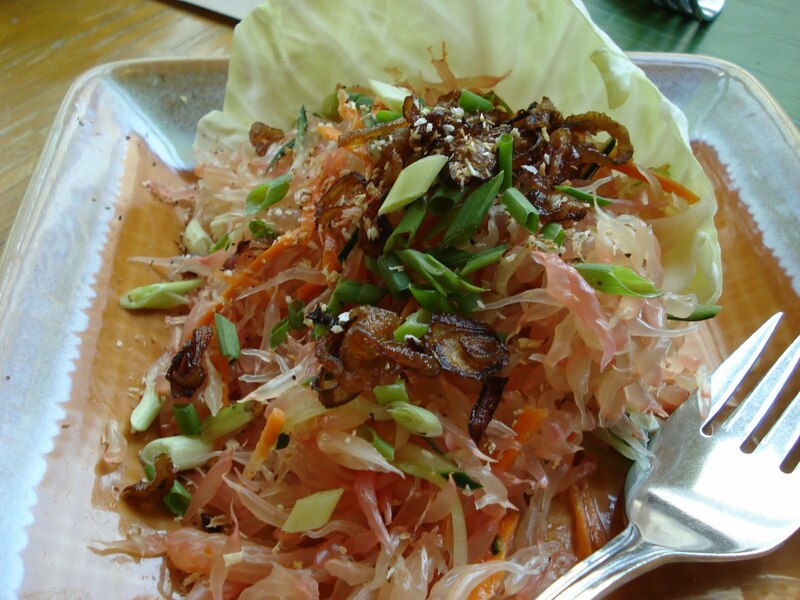 This is another dish that I regularly order everytime I have the chance to. It all began when I had my first taste of Beef Rendang not so long ago. Banana Leaf's version was a bit different, I was bewildered by the addition of the shredded coconut on top of the savory beef chunks. The beef was tender yet I would have preferred it without the coconut bits. 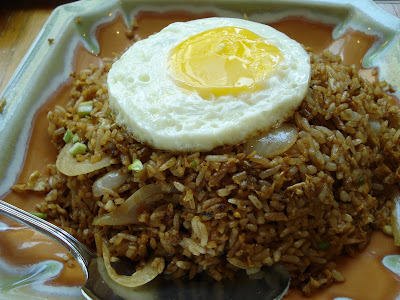 Nasi Goreng (Php. 188). I guess I've been saying this over and over again -- I love fried rice. If the Philippines has the Sinangag, the Japanese has Yakimeshi, the Chinese has Yang Chow Fried Rice... the Malaysian has Nasi Goreng! I love this version of fried rice with shrimps, onions and topped with egg cooked sunny side-up. It really goes well with the curry dishes. Stir Fried Crab in Malayan Coconut Curry (Php. 120/100grams). I was told that this is a preview of what to expect and enjoy during my two weeks trips to Singapore and Malaysia soon. Well, if every meal that we will enjoy during the trip will be this good... then I'm ten-times more excited! 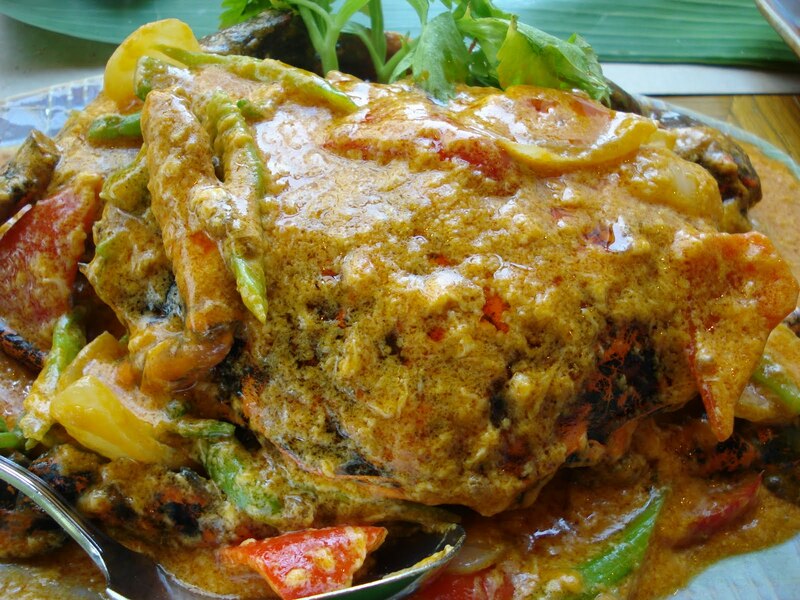 I once again love the rich, sweet curry sauce that covers the plump crabs. It was so easy to crack open the shell and pull out the meaty, soft crab meat while dipping it into the curry sauce. 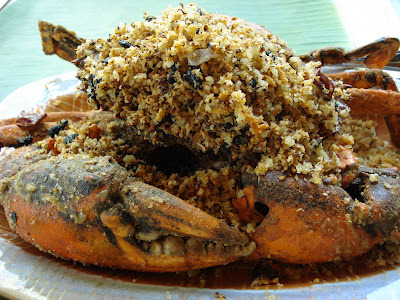 Stir Fried Crab with Spicy Golden Garlic (Php. 120/100grams). Lastly, another crab variant that got the top spot in my book. I love the crunchy, flavorful crab that wasn't a bit oily and is fully topped with fried golden garlic bits. It's a good thing that we have extra Nasi Goreng left that I got the remaining scoop and mixed this with a spoonful of garlic.I will definitely go back for these crab dishes. I enjoyed the lunch spent with our new-found friends. Amazing that all six of us were able to finish off a very hearty spread. Thank you very much Banana Leaf! Looking forward to your 10th year celebration! Banana Leaf is located at the 2nd level of The Podium Mall, ADB avenue,Mandaluyong City.